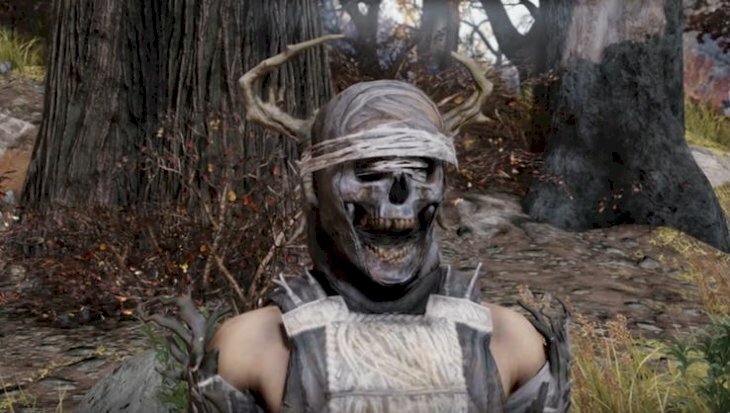 When it comes to post-apocalyptic nuclear dystopian video games, it's difficult to get weirder than 'Fallout 76'. 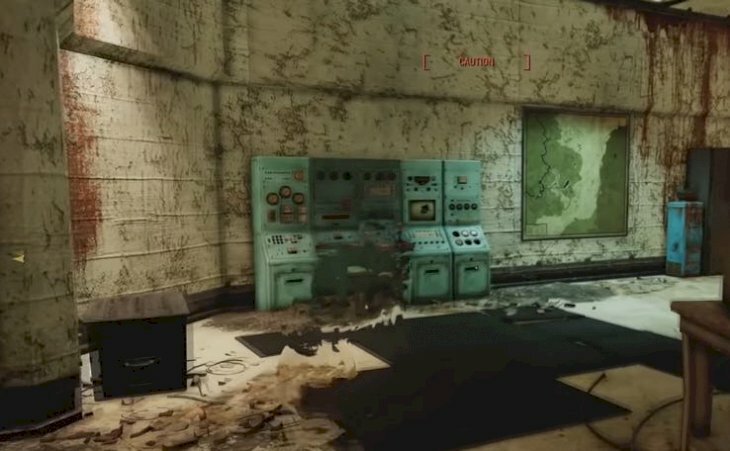 Long-term fans of the 'Fallout' franchise relish the unpredictability that the post-nuclear war environment offers, and in addition to the mutated people and animals caused by the extensive doses of radiation, there are hideout shelter "vaults" that weren't always kind to the survivors. For those of you new to this game, keep your eyes peeled as we delve into the franchise. Some of the vaults were built for people to live and wait out the apocalypse, while others were assembled to do hideous experiments on the very people trapped inside. You'll soon find out that the technology that survived to aid players is a peculiar combination of 1950s optimism and alternative nuclear tech. So, let's dive straight into this mind-blowing action-packed game that will allow you to explore spectacular graphics with landscaping and insane surprises! The total annihilation of everything must have taken a toll on survivors' minds. Just like in pre-apocalyptic days, arts and crafts assist in relieving anxiety and convert violent rage into harmless art projects. 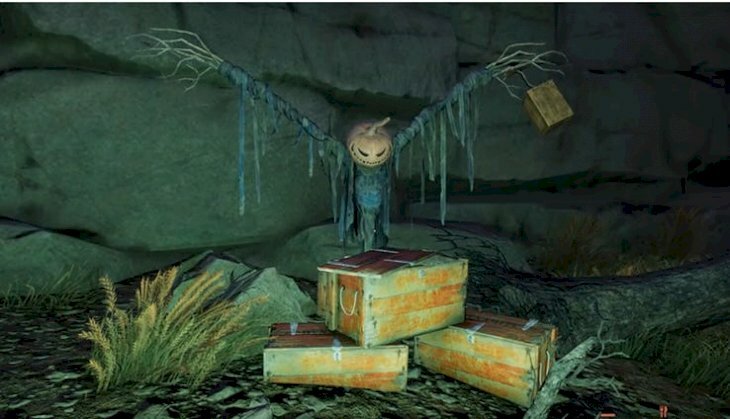 Just like the pumpkin head scarecrow safeguarding the crates that house a delightful assortment of explosives. This will be your most impressive find and is located on the hills to the Northeast of the National Isolate Radio Array. Your only way of finding this pumpkin-headed treasure is by traveling uphill to downhill along the slope, and not the other way. You’ll find a weird altar or shrine amongst the rocks that resemble a scarecrow with a pumpkin head. As a bonus, you’ll obtain an explosive cache of pulse mines, Molotov cocktails and frag mines. You can't go wrong with this sweet find because you're in a harsh environment where everything is out to get you. A "Fat man" rifle is an amazingly powerful weapon that delivers a mini-nuke charge when shot in an arching trajectory from a far away distance. Sounds awesome, right? Or, if you prefer instant incineration, and that is definitely satisfying, don't use this weapon of choice because it's not a close-range gun. Unfortunately, this is not such an easy weapon to find, and you won't be able to use it unless you're on level 45 at least. So that's a bummer. It does make sense, however, because whoever stashed the armament away, wanted to make sure it would be a task to find. So, if you want to acquire this beauty, head out to the Garrahan mining headquarters in the Southwest located on the map. Take the stairs up the monorail ruins and go all the way up to the rounded roof. This is where you'll find the monorail track. Then, jump down on the track and follow it up the hill until the final ring and you’ll find a Fat Man Rifle resting on top. Easy as pie! It certainly is a surreal experience traversing abandoned homes, but whatever you find there may sometimes leave clues about the kind of life the survivor must have lead in the years after the nuclear apocalypse. You'll rarely see a happy scene because they are often nightmarishly bizarre. 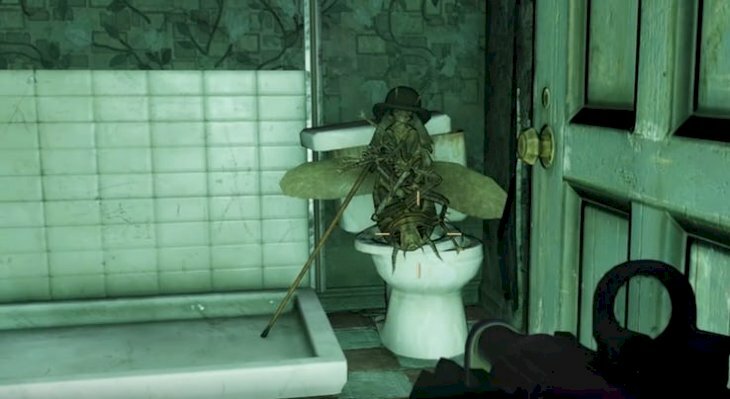 When you're in these types of situations, you may find yourself wandering into an old bathroom in an abandoned house to encounter a giant cockroach wearing a bowler hat and sporting a cane. It may sound a bit like the famous William Burroughs's movie, 'Naked Lunch', with his weird movie creations. No matter the attire this eight-legged-freak is wearing, your instant reaction will be to draw your weapon and slowly back away. While looking for this, you'll bump into the gentlemanly roach in a house on the top of the hill, near a road north of Camden Park. You can also harvest it if you're dead-set on doing so. The Phantom Device can be found as part of one of 'Fallout 76's most excellent series of side quests related to "The Order of the Mistresses of Mystery". This multiple part crusade involves you finding a secret society and its hideout and uncovering clues that help you scale the ranks. As part of the quest, you will obtain several unique items along the way. The Phantom Device is a compact cloaking device that renders you momentarily invisible and "frenzies" creatures that are nearby. Sounds incredible, doesn't it? Once you assemble the equipment, you will be able to craft more, though it's not an easy task. You'll need to go to Riverside Manor if you want to find this tool. First, find a tape in another mission, "Chasing Shadows", and this will lead you to acquire the Phantom Device. From there on, you'll be instructed to collect some parts to create the weapon. We can only imagine what it was like for those who were unprepared for when the missiles started to fall. Those last defining moments may be hard to contemplate though because they leave behind bitter reminders. At the top of a roof on the Torrance house, you'll find this unlucky couple. Here you'll see them in their final embrace next to a table with building blocks and a teddy bear, which has the unlikely name of Comrade Chubs. You can actually find four of these teddys and harvest them to craft other supplies. No, there aren't any Egyptians cats involved here. This blade can be obtained during the side quest "Forging a Legend", which is part of a subset of quests for the "Order of the Mistresses of Mystery". Though the Blade of Bastet has a lavish name, in reality, it is based on a Chinese Officer's sword. When it comes to the mythology of the 'Fallout' franchise, the Chinese overrun and occupy Alaska, causing massive destruction on the rest of the country with a plague. All this happens before the missiles fall, of course. So it totally makes sense that you might find Chinese weapons or artifacts in gameplay. Now, the Blade of Bastet is one of the most powerful one-handed melee weapons in the game, and it delivers a whopping 53 hit points worth of damage. You're going to want to acquire this baby! Its specialty is penetrating armor and making you look super cool while doing it. 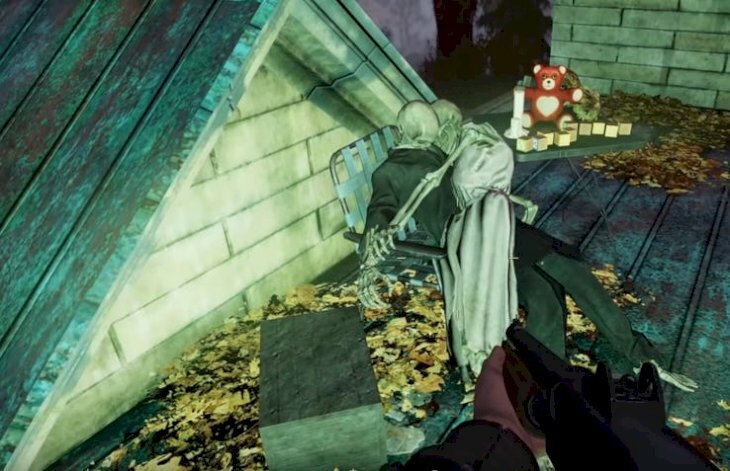 There are some beautiful and mysterious things about 'Fallout 76' that cannot be explained when you encounter it. You're not inevitably going to know how every mutated creature came to be that way, or why certain inexplicable items end up in the most unlikely of places. And, when it comes to the giant metal head, you'll be amazed. Deep in Tanagra Town, when you look far east on the map, you’ll find a tree-like structure that you can climb. It seems partially man-made but is enclosed by thick, twisty roots. Climb the twisted path that corkscrews around the structure, and eventually, it will take you inside a cavern guarded by giant crickets. Yes, more giant insects, but don't worry, they're pretty harmless. This is where you’ll find a giant metal head partially submerged in the dirt, surrounded by glow-in-the-dark mushrooms. We aren't sure what it is yet, but it could either be a shrine, a robot, or a statue. We all want to look fabulous while cutting and blasting our way through the irradiated Appalachian landscape, right? 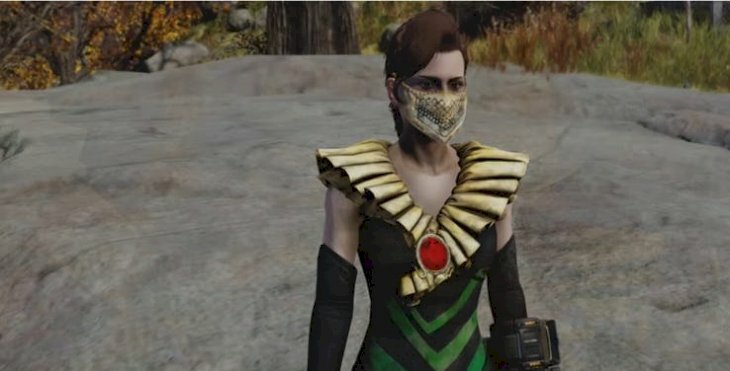 Another reward as part of the "Order of the Mistresses of Mystery" side quests is The Garb of Mysteries, which is a war-ready cocktail dress that acts as both an armor and a stealth enhancer. You can wear the dress as armor or your regular armor, but you can't use them both at the same time. Wearing the dress will definitely make it slightly harder for enemies to detect you by about 5%. The armor's effect will make you somewhat less susceptible to damage. However, you should be aware that if you wear the Garb of Mysteries in combination with the Eye of Ra, the stealth and armor effects are raised dramatically. If you want to be super elaborate, you'll have to get the Eye of Ra. The Eye of Ra only functions if you are also wearing the Garb of Mysteries. It’s an impressive red brooch that “powers up” the Garb of Mysteries to make you 20% harder to detect while lurking around the place. It also slightly intensifies the damage of the Blade of Set and The Voice of Set pistol. You can find the Eye of Ra on the corpse of Shannon Rivers on Seneca Rocks. It will, however, have no effect on other forms of armor or clothing, so if you procure this item, make sure you get the Garb of Mysteries to make it useful. So, it turns out that a significant event like total nuclear annihilation is excellent for jump-starting cults all over the place. Society has unmistakably failed, so it's time to make your own gods and rituals. The particular cult in question seems preoccupied with a tentacle monster that appeared to be alive and dangerous at one point. This monster is surrounded by lit candles and other strange half-human, half-animal skeletal structures that are hanging on the wall. This certainly indicates that someone is still visiting and keeping the shrine going. You will find this monster at the bottom of the Lucky Hole mine on the far southeast of the map It will be quite the journey to get to the bottom of the mine, so be patient. The Voice of Set is a .44 pistol you can only find in the side quest in "Prototypical Problems", one of the side quests related to “Order of the Mistresses of Mystery”. Though other .44 pistols are somewhat standard in the game, this one is enhanced with special abilities. Damage is 60 with an additional special electrical damage against robots. You can use it after you reach level 25. You'll need to gather additional data from Sugar Grove should you wish to power the weapon entirely. The gun is pretty efficient against drone defense robots, turrets, and other automated nasties that might get in your way. Its effects also get a small boost when combined with the Garb of Mysteries and the Eye of Ra. 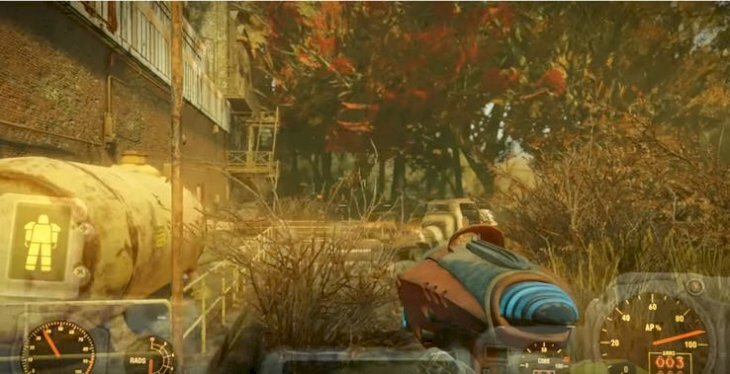 The alien blaster has appeared multiple times in the 'Fallout' franchise, most recently in 'Fallout 4'. In that game, the foreign blaster came from a strange living in a cave near a crashed UFO. 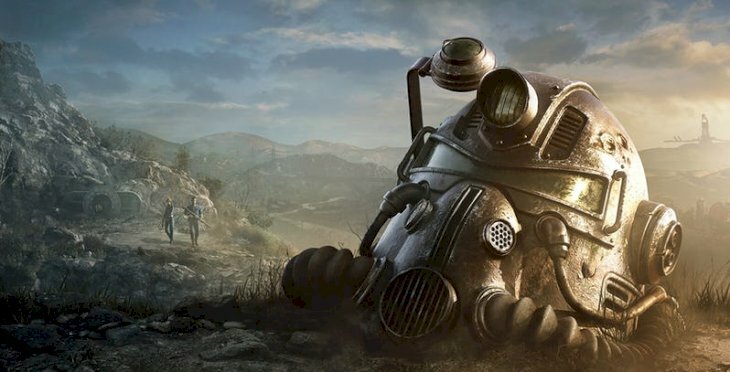 Since 'Fallout 76' happens chronologically before 'Fallout 4', it can't exactly be the same weapon. It is possible, however, that it may have come from the same UFO, or perhaps the same unknown race that has been visiting the planet. The alien blaster is a powerful weapon that packs quite the punch, so you'll definitely want that in your collection. When looking northeast on the map, and west of Philippi Battlefield Cemetery, you'll find a submerged box in a pond that contains the alien blaster with a rusted key. The rusted key will give you access to a location with a stolen passcode, which will then lead you to another secret item, the Secret Wall Safe. This one is somewhat complicated, so stick with us... So, when using the rusted key you'll find in conjunction with the alien blaster, you'll need to travel to Freddy's House of Scares in the Northern Mire. Go to the roof, and you'll find a shack which the key unlocks. Hidden inside the shack is a Stolen Terminal Passcode. This passcode corresponds with Mike Green's terminal at the top of the apartments in Morgantown. Once you go there, you'll get a holotape that you need to take to a house in Pleasant Valley Cabins. Now, use the holotape at a terminal inside the house to get another code, and then go under the house. Once you're under, use the terminal to enter the code and get the TNT Dome #2 Key. Got it so far? This will get you into Bunker 2 in the Black Ordinance Mountain Works. Finally, when you're inside Bunker 2, you'll find alien blaster rounds and a mysteriously frozen pod. This charming outfit is an especially creepy one that you can wear and includes a human skull and real deer antlers. You'll get the full-length costume that matches the mask separately. Start at the Wilson Brother's Auto Repair. Enter the red house at the top of the hill and locate the basement. There, you’ll find a shrine of bones and most of the costume, but the mask will be missing. To find the mask, go to the Sons of Dane compound. You need to go through the rusted gate and approach with caution because there may be a few glowing Wendigos hanging around. Then, go up to the top of the hill into the shack with the sign "The Buck's Den". It may look like the aftermath of a raging party. Look for a table to your right, and you'll see the ritual mask. Firstly, you need a key that you can find in Camden Park. Take a look at your surroundings, and you'll see an old partially intact roller coaster. Climb the tracks of the roller coaster and find a car that rests on the tracks. You'll see a key inside the vehicle which you then need to take and head on to New River Gorge Bridge. Get on the bridge, follow it until you can go to the lower level, and look for a door with a red light. Once you've found it, unlock the door and obtain the Power Armor Stash. 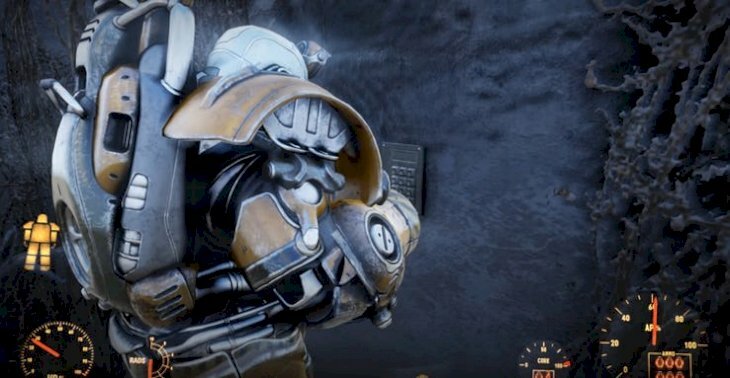 This Power Armor looks like it's been refurbished from at least a few different types, so it won't be entirely as tough as the official models that are completely intact. But still, it's Power Armor and a magnificent find. 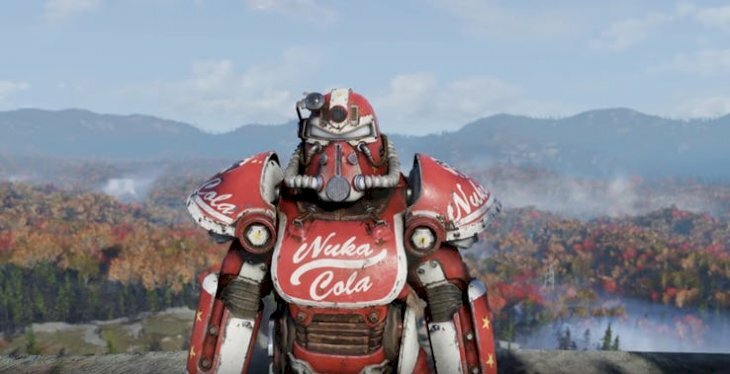 To get this impressive Nuka Cola armor paint job which was also seen in 'Fallout 4', you'll have to get inside Dome 3. Get inside the Kanawha Nuka Cola plant and then picklock the door, after which you'll find a locked locker with the key to Dome 3. You'll notice two notes: one from Clara who went to Sutton, and one from Rich who went to Watoga. Head on over to Watoga and find a body with a locked toolbox next to him. Then, go to Pylon V-13 on the map and find another body with a duffel bag containing a key to the toolbox. Open the toolbox, and you'll discover the key to Clara's box in Sutton. Find the box in a doghouse in Sutton, use Clara's key, and you'll get the locker key for the Nuka Cola Plant which gives you the key to Dome 3. Phew! Interestingly enough, this is the severed head of an Assaultron robot that has been repurposed into a pistol. You can charge the weapon by reloading it and the more you charge it, the more destruction you can dish out. This is a powerful weapon, but it illuminates the user, so be careful when you use it! 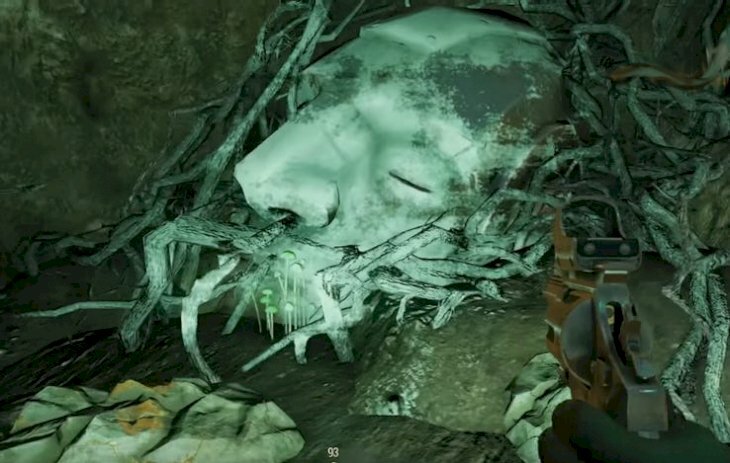 You can find the Salvaged Assaultron head in Watoga, on the southeastern corner of the map. Then, on the west side of Watoga, you'll find an elevated walkway. Here you should be prepared to run into some hostile Assaultron robots, and that's what makes this game so intense. You can either blast or hack away at these robots, and their remains will leave pieces that you can use later. Eventually, you can farm the scavenged Assaultron head, but it might take a while, so be patient with this section. The Assaultron blade comes in two varieties: the regular Assaultron Blade and the Electrified Assaultron Blade. Of course, the Electrified Assaultron Blade is somewhat more powerful and deals additional damage. 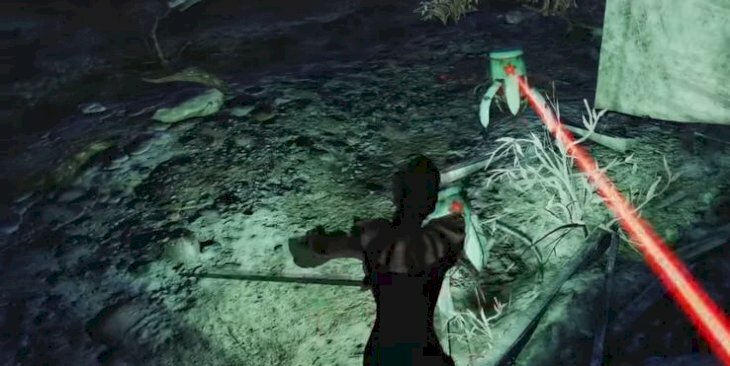 It's the most potent one-handed melee weapon of 'Fallout 76'. 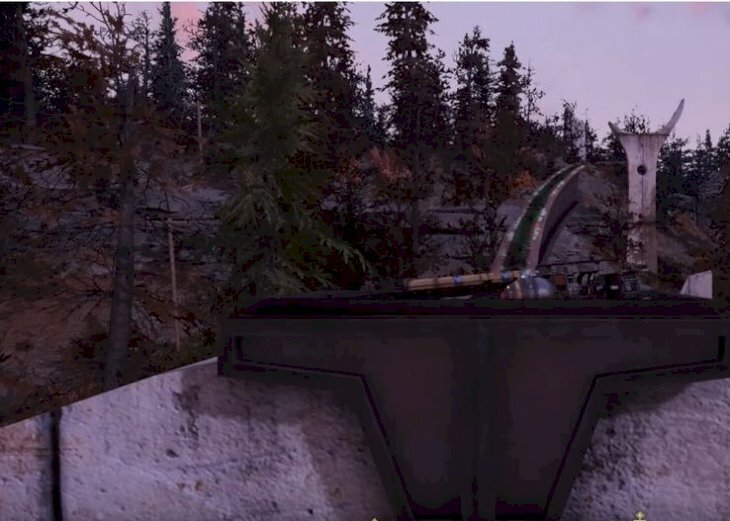 You can farm the Assaultron blade in the same place where you can locate the salvaged Assaultron head: the raised walkway in Watoga. You can also craft the Assaultron blade yourself by finding Assaultron blade plans. 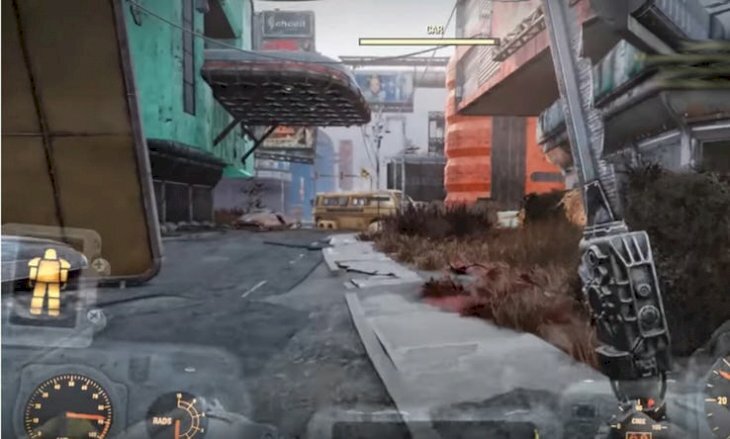 If you head north on the road from Dyer Chemical, you may get a chance encounter with an adversary that will drop the plans for an Assaultron blade when you defeat him. The blade isn't as quick as the others, but it sure does pack quite a wallop. The 50 Caliber Machine Gun is a belt-fed heavy artillery weapon that is indeed a potent force to be reckoned with. However, remember to use caution with this weapon because it blows through rounds very quickly. If you're not careful, you'll run out of ammo, and you don't want that happening. Also, you'll need to be at least level 25 to be able to wield the gun. You can acquire the 50 Caliber Machine Gun relatively easily. Start at the Clarksburg Shooting Club, which is just north of Base 76. Then, look around for a destroyed pick-up truck on the road with some items in the back. It's rather easy to find as it's mounted to the bed of the pickup is the 50 Caliber Machine Gun, which you can just take. 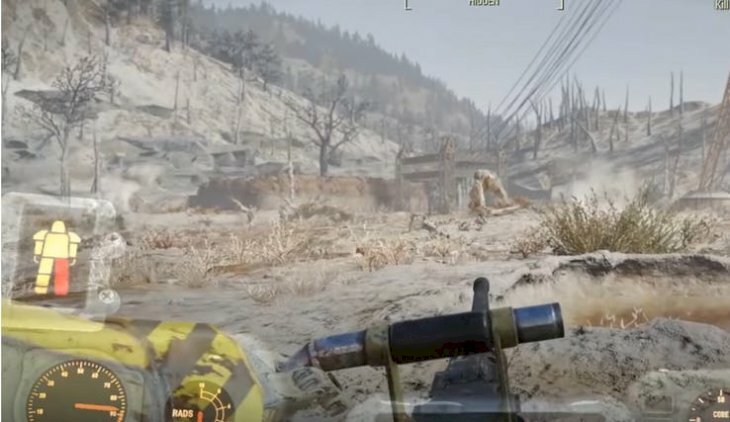 The weapons in 'Fallout 76' are an entertaining mixture of refurbished weapons, future tech from a 1950s post-war perspective, not to mention the advanced stuff that doesn't use traditional ammo, like the Salvaged Assaultron Head. But in a retro-twist, one of the most powerful weapons in the game is the black powder pistol or rifle. The guns themselves are ancient and low-tech and must be loaded one shell at a time with a ramrod. But the shells you load are .50 caliber balls, so that will make short work with anything you shoot them at. Both the Black Powder Pistol and the Black Powder Rifle can be found at Phillipi Battlefield Cemetary. So, just head on to the museum, press the red button near the counter and raid the weapons from the display cases upstairs. Have fun! Which one of these weapons are you most interested in? Which one works best for you? What do you think of the game in general? Let us know in the comments section below and remember to share this with your gaming friends and family. Keep up-to-date with us for more interesting tips on how to acquire those much-needed items in the best games coming out. Ever wonder what Easter Eggs were hiding in plain sight in Fantastic Beasts? We take a look at those little visible hints that correspond to Harry Potter, and you'll be surprised at what we have found!